Marvell today announced that OnLive is using the ARMADA 1500 HD Media SoC to power on-demand cloud gaming in Google TVs and Google TV devices. OnLive delivers hundreds of high-end video games directly from the cloud to PCs, Macs, TVs, tablets and now, leveraging the ARMADA 1500 chipset, to Google TV, with no game console necessary. 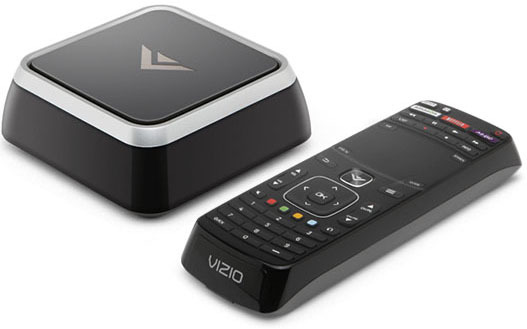 The ARMADA 1500 powers Google TV devices like the Sony NSZ-GS7 Internet Player which you can already buy, or the VIZIO Co-Star which comes with OnLive pre-loaded and will be available for pre-order in this month on VIZIO.com for $99.99. It's not surprising that many Google TV 2.0 devices are based on the Marvell Armada 1500 chip, the next iteration of the Marvell Armada 1000 chip that powers the OnLive Game System, which is being lauded for its silent low-power operation and the high quality low latency video decoding required for OnLive cloud gaming. "I believe this is a major breakthrough that demonstrates Google TV's progress in addressing the interactive big screen for any type of live content. We are thrilled to collaborate with OnLive in transforming any TV with gaming capabilities," said Weili Dai, Co-Founder of Marvell. "Together with our customers and partners across the ecosystem, Marvell is leading and driving a new era of the digital lifestyle by seamlessly connecting all screens and devices with better performance, affordability and versatility for the mass markets." "OnLive's focus is to make the highest quality gaming accessible to everyone, anywhere and anytime they want it. With Marvell under the hood, we are able to deliver the highest-quality, on-demand gaming experience on groundbreaking devices and systems like Google TV," said OnLive Founder and CEO Steve Perlman. "The ARMADA 1500 is an impressively high-performance, low-power SoC that accommodates OnLive's highly advanced technology and delivers a mind-blowing gaming experience." Both OnLive and Marvell are aligned in their vision of supporting best-in-class smart devices and providing the ultimate user experience. 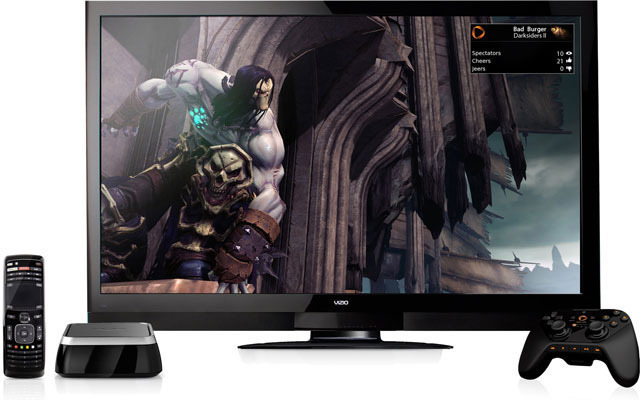 To that end, the OnLive Game Service is now integrated with next-generation Google TVs and stream players that offer video games on demand with just a few clicks of the Universal OnLive Wireless Controller or any Google TV-compatible controller, eliminating the need for users to own an independent game console. Featuring a superscalar dual-core CPU, with more than 6000 Dhrystone MIPS of computing horsepower, the ARMADA 1500 delivers the full spectrum of rich multimedia entertainment on a single-chip architecture, making it the ideal processor to power tomorrow's "smart" entertainment center. The ARMADA 1500 also integrates award-winning Qdeo video processing technology with support for 3DTV that provides consistently high-quality, full HD video despite the source and enables compelling, interactive user interfaces. Additionally, the ARMADA 1500's small form factor and fan-less chip design, coupled with Marvell's family of Avastar wireless products support a broad scope of smart, slim, power-efficient devices-including networked DTV platforms, Blu-ray players, digital media adapters (DMA), and HD set-top boxes-and delivers best-in-class features at highly competitive price points. From the sound of this announcement it looks like the launch of the full OnLive App for Google TV is imminent.